Baby Fair happening at The Seletar Mall Atrium from 31 Oct - 6 Nov 2016. Come on down and see the huge discounts we have in store for all parents. There is a variety of products ranging from baby products to scooters for kids. Don't miss out this chance to grab a good bargain and even prepare Christmas presents for your kids. 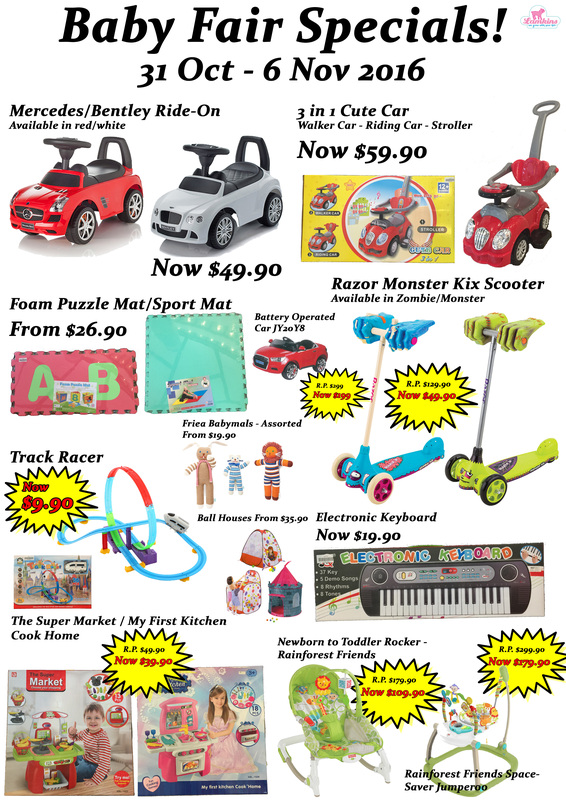 Fisher Price, Taf Toys, Zycom, Vtech, Razor, iimo, Friea and many more.